There’s not much that needs to be said about the Jordan Retro IV “Bred,” other than it’s one of the most classic sneakers in the game. 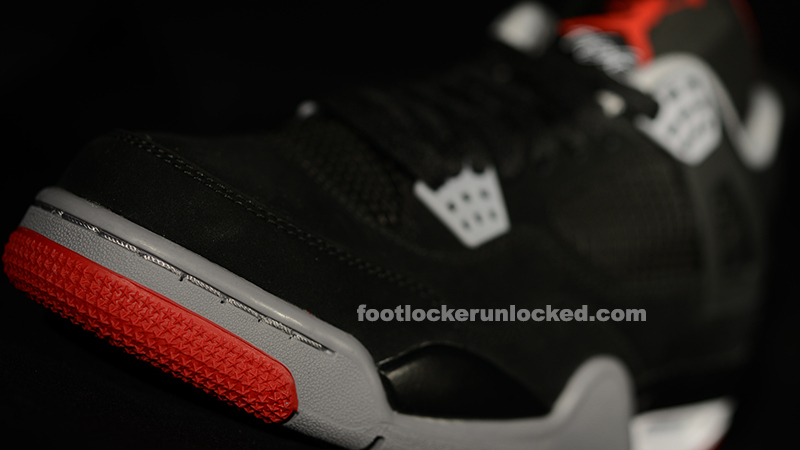 Carrying on a newly founded tradition of releasing Bred colorways on Black Friday (the Cement 3s were released on Black Friday 2011), these IVs come out during the 23rd anniversary of the original release of the Air Jordan IV. It’s no wonder there have been so many IVs dropped this year. 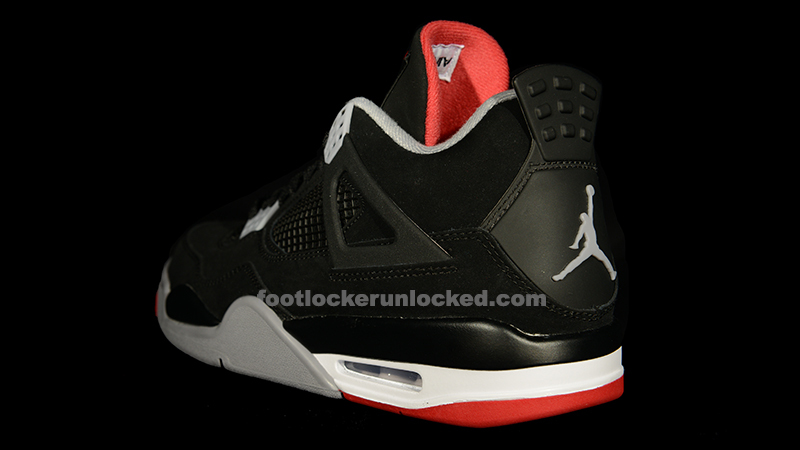 The Bred IVs have an all black suede upper with cement grey accents on the lace clips, Jordan branding on the heel, and inner lining around the ankle. 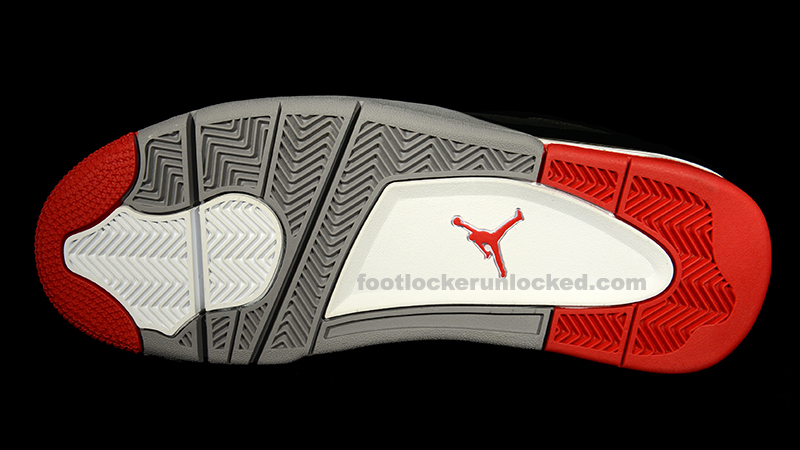 Fire red accents are featured on the toe and heel of the outsole, the tongue’s inner lining, and the Jordan Jumpman on the tongue. 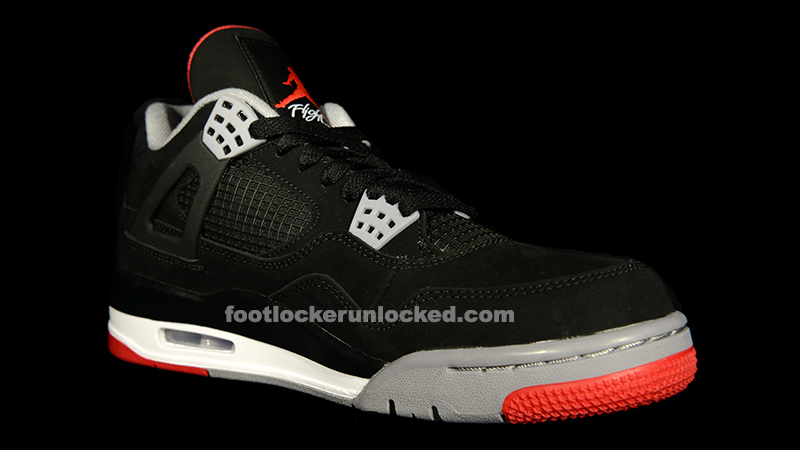 The release is rounded out by a white midsole. Plain and simple, it’s good to see a classic back in stores. 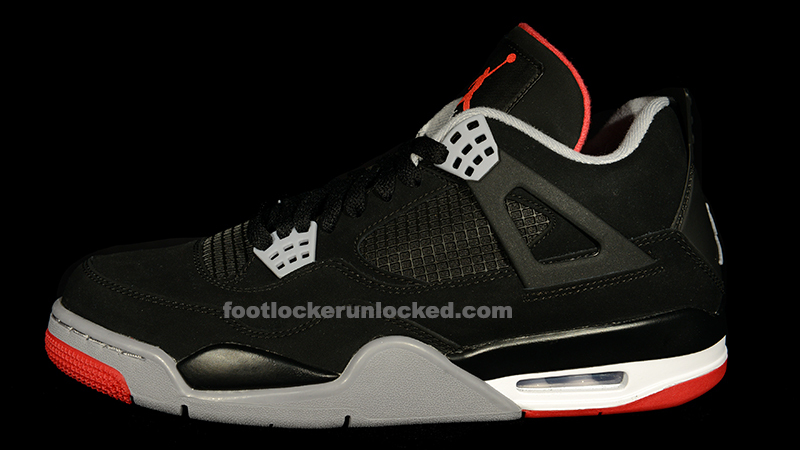 The Jordan Retro IV “Bred” releases today, November 23 – Black Friday. 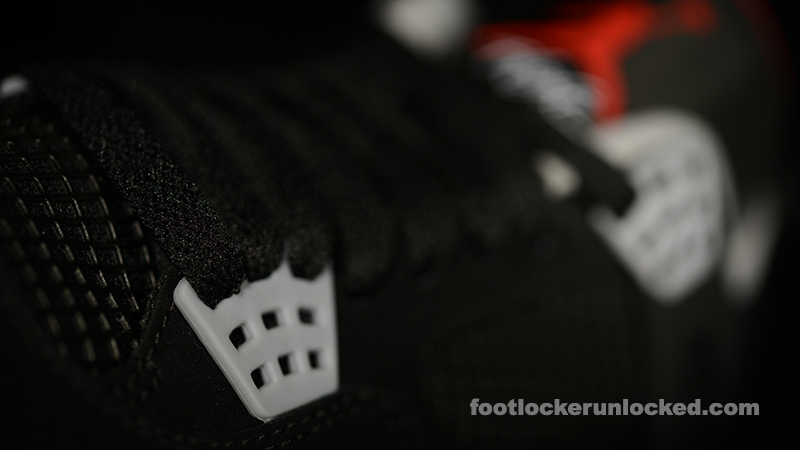 It can be found at Foot Locker, House of Hoops by Foot Locker, and online at Footlocker.com. Kids sizes will also be available for this release. To find the store nearest you that will carry this shoe visit the Launch Locator. Don’t forget to send us your pics on Instagram using #weekofgreatness @footlocker to have the chance to be featured and win awesome Week of Greatness prizes all week long!